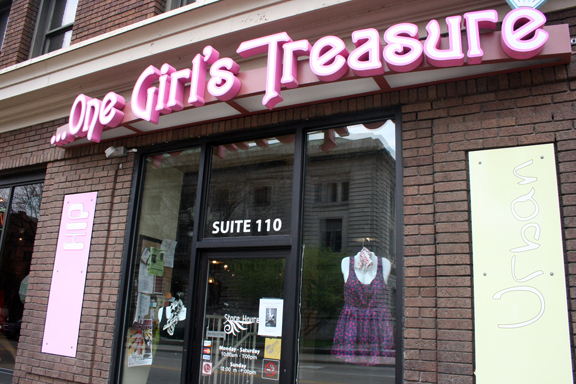 This month One Girl's Treasure, downtown at 5 Lyon NW, will become another girl's treasure when Haylea Gray signs the final papers to become the owner. 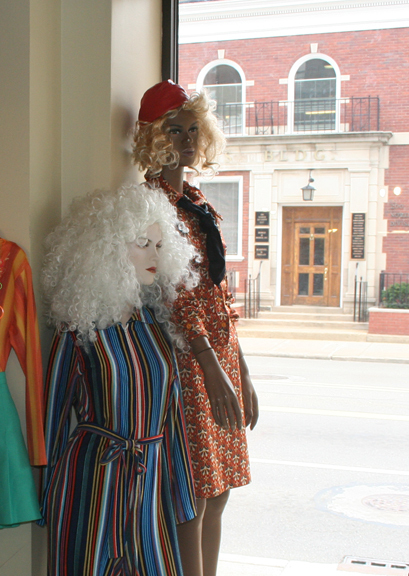 This hip women's resale shop opened in 2007 and has experienced steady growth and a growing customer base. When asked to describe the store Gray talked of, "the diversity of the store, not just brand names but unique and special items by local producers too." The one of the kind approach caters to a wide spectrum of clients, "we like to be eclectic, not focused on just one group or type of person." The store's focus is not just about retail, it also is a model for our local economy and the environmental impact a small business can have. "I read that 5% of the content of landfills is textiles. I was shocked, I can't imagine people throwing away clothing," Gray exclaimed as we talked about the environmental conciousness that, in part, frames the model of the store. "By re-using clothing we are one step further from our disposable society status. Collectively we need to do better, and this is a step in that direction." The resale model encourages the re-use and up-cycling of clothing. A customer can bring in clothing that they no longer use and receive a check or a store credit that they can use to shop in the store. Gray is no stranger to retail or resale. She started working in the resale world during her college years in Tempe, Arizona. 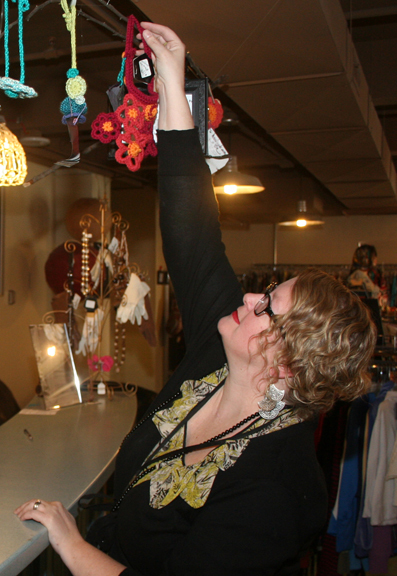 She spent ten years working at the Buffalo Exchange, a resale chain that grew out of Arizona, prior to returning to Grand Rapids in 1998. After coming back to Michigan Gray began working retail management at shopping mall based businesses. In March of 2009 a former co-worker approached her about coming to work at One Girl's Treasure (OGT) and a few weeks later she had shifted her existence, at the time not knowing how much of a shift it would eventually be. A curious thing happened to Gray while working at OGT she realized, or actually remembered, that she "could like going to work again." "When I started working here I realized that I could wear the clothing I liked, I could listen to the music I liked, I could be at a place I liked." After this revelation things began to shift to make her eventual purchase of the business unfold. She knew that the owners we planning to sell, if not her than someone else would buy it. She also came to a personal crossroads and came to the conclusion that this is something that could be her long term future, not a short term job. 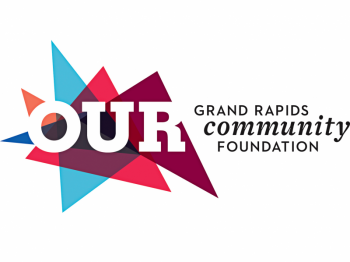 When the idea to buy finally set in she approached Grand Rapids Opportunities for Women for some advice. "I wanted someone to write a business plan for me. They explained to me that I should write it myself, so I would have a complete understanding of what I was getting into." She did write it herself and it took her several months to perfect it while juggling the responsibility of motherhood, a marriage, and her full-time job at OGT. "The process helped me understand the business, it also helped me understand how much effort is required for working mothers to pursue an education or other opportunity to better their lives." Gray continues to look at ways to expand and enrich OGT. She initiated bi-monthly art exhibitions that provide an opportunity for emerging young artists to show and sell their work. She has been working with local producers to offer their handmade items at OGT. You can find more info on OGT at their website, www.onegirlstreasure.com, which Gray said will also be revamped soon. Disclosure: Grey and Rumsey are neighbors in East Hills.